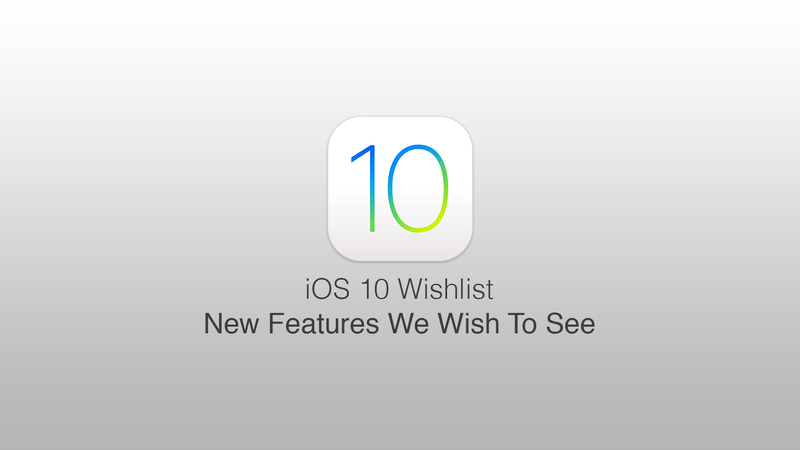 Bias among developers – It was present in the good ol’ days of 2008’s iPhone SDK, and it is present now. Most Apple app developers take considerable pride in the fact that they work on the iOS platform – and, given a choice, they could not be bothered about creating apps/games for any other platform. The fact some of the best iPhone apps do not have an Android version goes to prove this. On the other hand, Google Android, with its Java development kit, brings down the entry barriers for cross-platform app developers (unlike working with Cocoa Touch on iOS). While iOS developers are more concerned with design excellence and the end-user experience, the average Android developer is more into making the best use of the available server-side tools. 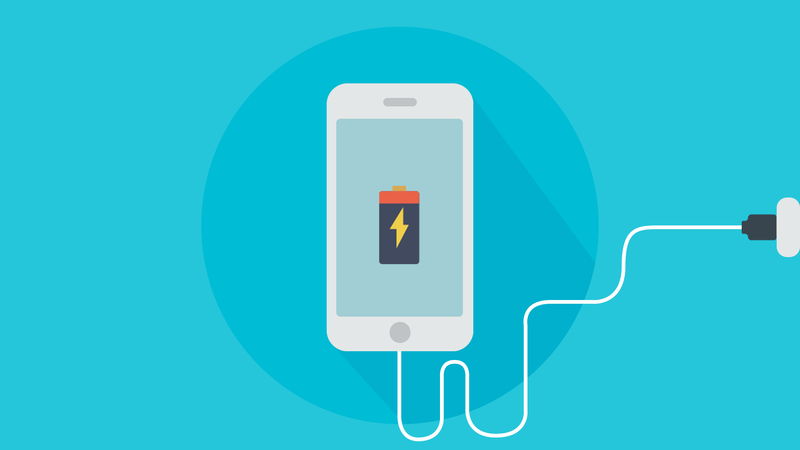 Time to code apps – Think that iOS and Android app development requires the same time-frame? Well, think again! A recent Infinum report (with 6 projects) showed that, on average, making apps for the Android platform took 28% to 30% longer than making the same applications on iOS. The difference in time is, roughly, inversely proportional to the number of lines of coding required in each project. iPhone app-making is, based on this study, quicker. Significantly so. Note: The report factors out the probable differences in the quality/expertise of the developers involved. Hence, that does not affect the final results. Battle of the IDEs – Xcode (latest release: Xcode 7.3.1) is the default integrated development environment (IDE) for iOS, while Android app developers work with either Eclipse (latest release: Eclipse 4.5.2) or Android Studio (latest release: v. 2.1.1). It would be an exercise in futility to even do a Xcode vs Eclipse comparison – given how clunky, slow and often counterintuitive the latter is (comparatively speaking), both at the time of coding as well as debugging. With Android Studio, things have got a lot closer – but Xcode still holds the edge, regarding speed and performance. How much to code? – With Java being the go-to language for Android applications and Objective-C/Swift being the ‘language of iOS’ – you would expect that Android developers have to actually write more code (after all, Java is a way more ‘verbose’ programming language than Obj-C). However, we were slightly taken aback when Infinum reported that this difference is around 40% (a lower figure was expected), with 1 of the 6 projects involving nearly 190% more coding on the Android platform. So what’s the takeaway here? Android apps take longer to be built and involves more coding – developers have to be engaged for longer, and hence, when you hire Android developers for a full-blown project, you might have to pay more. Looking beyond the revenues – iOS applications, on average, bring in around 75% more moolah than Android apps (that was the revenue gap between the two platforms this January). But, to get a proper perspective – we need to dig a little deeper. For starters, the average iPhone and iPad user is more likely to actually spend on mobile apps, than users of Android devices. This, in turn, explains the presence of many more free apps in Google Play Store (compared to Apple App Store). On the iOS platform, paid apps are likely to find more takers – and developers are actually committed to make really good applications. Over at Android, free apps are more…and like it or hate it, that additional bit of monetary motivation – particularly for Android developers – is lacking. Note: Yet another big problem related to this is the issue of piracy on the Android platform. Users have lots of options for ‘sideloading’ the APK of third-party apps on their Android devices (i.e., downloading them from sources other than Google Play Store). That hurts the download and revenue figures as well. Fragmentation – In early-2016, a report found that there were close to 20000 different models of Android phones – manufactured by different vendors, each keen to put their own spin on the plain-vanilla Android platform (oh well, you only get pure Android on the Google Nexus phones). On the other hand, iOS app developers need to worry about a dozen or so devices (even considering the backward compatibility of new applications). Now, each smart device – phone or tablet – differ in terms of screen size, pixel density, display resolution…and this makes the task of creating Android apps that would work optimally on ALL devices that much more challenging. It is very much probable that the user of a relatively obscure brand Android phone will discover an app, install it, find that it is not working properly, and leave an unfavourable review. Note: The huge fragmentation of the Android platform makes life all the more difficult for mobile app testers. App companies also have to spend more to buy all the latest popular Android phones for testing their apps. For iOS, the latest flagship iPhone and the iPad (probably the iPod Touch as well) are enough for app testing. Simulators vs Emulators – Even when there are no other coding problems, the Android emulators take longer to perform the same task than the iOS simulators. That, in turn, stretches the overall app development life-cycle for Android applications (with the extra coding required already eating up more time). In particular, the ARM simulator is real slow – and it is often a source of concern for Android developers. With only a handful of devices to test for, Apple developers have it easy here. Size of apps – For the present-day smartphone user, this is, more often than not – an important factor. Few users are naive enough to hoard hundreds of apps on their devices, filling up their SD card storage space in the process. On iOS, the average size of an application is 23 MB – nearly 4 times the average Android app size (6 MB). iOS games tend to be ‘larger’ than Android games (60 MB vs 40 MB) as well. iDevice users have to be just that bit more circumspect about running out of memory space on their devices – if they are not careful enough. Use of XML while creating layouts – iOS developers also use XML while developing app layouts – but it is next to nothing when compared to the usage of XML in the Android app layouts. This leads to ‘what-you-see-is what-you-get’ (WYSIWYG) being lot more common on the Android platform than on iOS. An application that takes around 500 hours to build on the iOS platform would require almost 660 man-hours to be made on the Android platform. View Controllers and Android Activity – The APIs and software libraries available to Android and iPhone app developers are relatively similar, both qualitatively and in volume. With that being the case, we should turn our attention to the performance of the controllers on the two platforms – and once again, there isn’t much to choose between the View Controllers on iOS and the Android Activity tool. What does make a difference is the presence of the developer-friendly iOS Core Data Framework. The Android system does not have a similar tool. Device loyalty – Yep, that’s also a factor that app makers have to keep under consideration. iPhone-owners in general, ‘love their devices’ more than the users of Android phones (~65% satisfaction rate vs ~48% satisfaction rate). More interestingly, 8 out of 10 iPhone-users had already owned older iPhones – and hence, they are more or less familiar with most iOS applications. The ‘young billion’ (i.e., first-time iPhone buyers) population is smaller than the count of new Android adopters though – thanks to the large number of budget smartphones in the market. iPhone was, and will always be, a premium device. Note: Hardly anyone would call the iPhone 5C or this year’s iPhone SE – relatively lower-priced models – a budget smartphone. 12. Documentation and support resources – Both Android and iOS app developers have comprehensive documentation support – so nothing to really nitpick over here. Apple and Google do an excellent job of explaining all the app development tools and components, and there are plenty of sites (like StackOverflow or Reddit) where developers can pose their questions and get detailed answers. Getting help is easy. Although the iOS platform promises higher revenues, it requires developers to cough up more money to get things started. The annual fee for an Apple Developer account is $99. Now, compare that with the cost of becoming an Android developer – a one-time fee of $25. Another factor that explains the presence of more paid apps in iTunes than in Play Store. Apple developers have to make up for the higher fees. 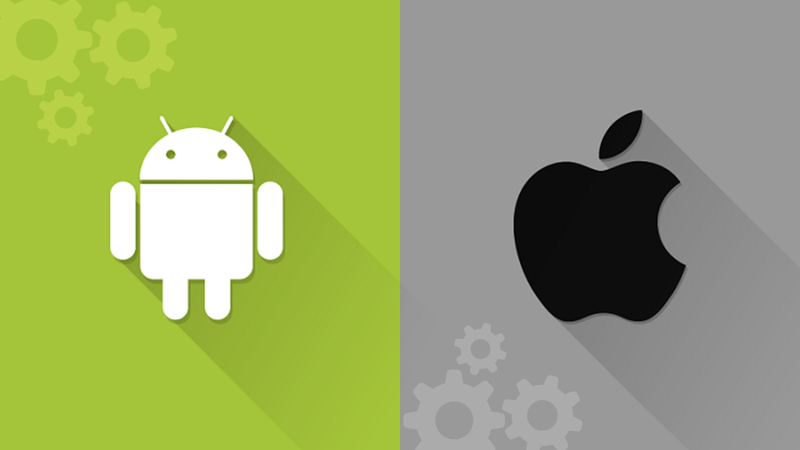 While the above points do put certain key differences between iOS and Android app development in focus, it would not be fair to call one of the platforms ‘better for developers’ than the other. From the revenue perspective, the ‘iOS-first’ strategy that many mobile app entrepreneurs take makes sense – while it is easier for new programmers to start out with Android apps. It all boils down to which platform a developer is more comfortable in working with. And that, dear readers, brings us to the end of Ed. 53 of AppBoard Tuesday. If you have a say regarding today’s discussion topic, simply post a comment – our iOS/Android app makers will be more than happy to hear your opinions. Until the next time then…love thy apps! 6:30 – 7:30/ Morning jog and light exercise – I will be spending around 10-12 hours after this sitting in front of a Mac computer. It’s essential that my static state does not compromise my physical fitness in the long-run. I get out of home at 6:30 am sharp, go on a morning jog (tracksuits et al. ), return home, head for the terrace, and do some freehand exercise. Helps me feel alive and awake, looking forward to yet another challenging day. 7:45 – 8:15/ Breakfast and the news – Whoever said that breakfast is the most important meal in the day could not have spoken a truer word. Shower over, I hit the breakfast table, with coffee, cornflakes and a poached egg (sunny side up!) waiting for me. During the meal, I read up the latest tech-news on my iPad Pro. I do glance over the newspaper later – but for a quick check of all the new stuff Apple keeps coming up with, the iPad news apps (I have 3 of them installed) yields more information…and quicker. Some chat with my family-members also happens (but of course!) while I am finishing up my breakfast. 9:00 – 9:15 /Entry at office – Yep, that’s the time window by which I always arrive at office. As a senior mobile app entrepreneur, I feel that being punctual is a part of my daily responsibilities (leading by example and all that). My colleagues start trooping in as well over the next 15-20 minutes. I use that time to glance over my email, reply to the urgent ones, and get rid of the scores of advertisements that arrive every day. Once my team members are all at office, it’s time for a small coffee session at the canteen. 9:30 – 9:45/ Morning Scrum session – The ‘scrum-culture’, I feel, keeps our day-to-day tasks really organized. I head to the conference room along with the other iPhone app makers, where we mention the project(s) we will be working on during the day, the progress already made on them, and the milestone(s) we expect to reach by EOD (end of day, in case you did not get that). I can already see the Android app development team clamoring outside – once we are done, they will be having their scrum right here (their time is 9:45 – 10:00). 10:00 – 10:30/ Mail again – This time, I look for one type of emails – the type whose subject is “Your application is ready for sale”! I mean, I have been in the mobile app development industry for close to a decade – and even now, I get butterflies in my stomach when a new iOS app goes ‘Under Review’. It’s a good thing that the Apple has shortened the app review times to 1-2 days (on average). I have to ‘worry’ for a much shorter time-frame! Note: If a new app or an app update indeed gets approved, I pass on the news to my colleagues. A round of high-fives and hooting follows – after which, it’s back to work. 10:45 – 10:50/ Plug on the music – I don’t know about others – but I do get royally upset by distractions while doing the coding for apps (it’s not an easy task folks, and a ‘small’ error can necessitate an additional couple of hours of app testing and debugging). I rummage my bag for the good ol’ iPod Touch – select ‘Vangelis – Conquest of Paradise’ from the playlist, and put in the earplugs. That’s it – the noises of the outside world have been drowned out, and I can proceed peacefully. 11:00 – 12:30/ Coding. Coding. Coding – The first half of the day is, without a shadow of a doubt, my favourite for doing the bulk of the required coding. I write in Objective-C or Swift – depending on the requirements of the app project on hand. I get a real kick out of coding the actual user-interface of new applications. The database and the backend support are all very important, but unless the UI is properly optimized – my app is not gonna work. There…that’s my extra motivation for coding the user interface well. 12:45 – 13:00/ Learning the new APIs – I try to keep the 15-minute pre-lunch period aside for checking out the new APIs included in the latest version of the iOS platform. In addition, I try to learn as much as I can about developing apps for Apple Watch and Apple TV (the latter is not really required at the moment for me…but a li’l bit of extra knowledge never hurt anyone). If nothing urgent crops up at this time, I head for the pantry with my tiffin-carrier. A good half-day’s work done…and I deserve a mini, self-served treat! 13:00 – 13:30/ Lunch – Not too light, lest I feel peckish too soon afterwards. Not too heavy, for heavy midday meals make me sleepy. The tiffin I carry from home feels just right. On certain days, I order something extra from the pantry as well. 13:30 – 14:00/ Checking out iOS discussion forums – I am sure that many other iPhone app development experts love the StackOverflow site, just like I do. After lunch, I get back to my workstation, and randomly browse through the iOS development-related questions posted on SO, check out the answers, post a couple of answers (if my knowledge allows me to do so! ), and maybe seek out help on topics that I get stuck with. I also go through all the Apple-related subreddits. There’s a lot of information on the web – it’s up to us developers to make use of it. 14:15 – 15:30/ Client meetings, Skype calls – On most days, online meetings with clients are scheduled during this time-interval. I consider that working closely WITH the client is vital for any app developer – and it’s important that the developer and the client are on the same page, when an application is being developed. I head with my laptop to one of the 3 conference rooms, sign in on my Skype account – and lo & behold(!) – the client is already waiting for me. I share preliminary wireframes and mockups, note down the client’s feedback on the same, and exchange ideas about the next stage of making the concerned application. If (s)he has any particular queries, I resolve them during this time. A happy client is a relieved me! (Rinse and repeat this…if there are meetings scheduled with more than one client on a day). 15:45 – 16:00/ Ranking checks – I keep this 15/20-minute slot aside for two things primarily – a) to check my apps’ rankings on a tool like AppViz and b) to upload binaries. On most days, the sales projections of the applications are steady and there are no problems with the binary upload. However, there are the occasions when nothing seems to be going right. The sales of a couple of apps take a nosedive, the binary has a bug – and I have to put in that extra effort to set things right once again. 16:00 – 16:15/ Coffee – It’s time for the afternoon beverage, and I prefer taking it at my workstation. I check my personal mail and Facebook within this time (a brief period of indulging myself), make a couple of calls, and reply to messages. A bit of no-harms-meant leg-pulling also takes place on the office floor. Mobile app developers should not become the archetypical nerdy geeks – they should know how to laugh as well! 16:30 – 17:30/ Some coding. More of troubleshooting – If I am lucky enough, my builds pass the scrutiny of the app testers at one go. On most days though, I am not that lucky – with reports of the build not working on either a certain device, or on older iPhones coming in. Initial builds, understandably, can crash quite a bit too. Time for rectifying these errors…it’s not always as straightforward as it sounds. 17:45 – 18:30/ App store research – This is something I do every day. I head to the Apple App Store, browse through all categories of applications, download a few that actually catch my fancy, and check out how they work. The developers’ perspective fascinate me, and I try to guess the answers to questions like “Why would anyone need this app?” or “What was the developer thinking when he included this feature?” This research gives me a sort of insight…and on occasions, fresh app ideas. If I feel that we can make an improved version of an existing app, I immediately float the idea among my colleagues. (Note: I check out the worst-performing apps at the store too, the so-called ‘zombie applications’. I note down the probable reasons behind their failure. This is like creating a reference point of mistakes that my team MUST NOT make while working on new app projects). 18:30 – 18:45/ Evening Scrum session – Time to be accountable. On certain days, I take the day-end scrum, noting down the things that the other iOS app developers have done during the day. Daily targets are, more often than not, met by everyone. If there’s any issue over a project, I talk it over with the developer(s) working on it. 18:50 – 19:00/ Sticky Notes everywhere – I do this ‘note-to-self’ thingy before I leave every day. I take stock of the pending work, prioritize the different tasks, write them out on sticky notes, and paste them just above my Mac computer. That way, I can start working as soon as I arrive at office the next day – instead of wasting maybe a half hour, mapping out the things I have to do. 19:00 – 19:15/ Done for the day – On four days of the week (and if there is no emergency work), I head for home at this time. During my ride home, I need to completely unwind from the day’s work, forget about programming and clients and meetings for some time, and…just do something else. I either read a book or play mobile games till I reach my abode. And on the other day… – We have our weekly iOS development training sessions. As senior developers, the onus is on us to bring the newbies up to scratch, regarding the nitty-gritty of mobile app development. I conduct one of these sessions every month – and I always try to drive home the fact that, the mobile apps we make should always be about the end-user. At the end of the day, good user-experience earns five-star app reviews. Lots of high-end, complicated coding might be useless if an application is not user-friendly. Okay then, I have reached home. Time for a nice, relaxing shower – followed by a snack and maybe some TV. Before dinner, I quickly get on the internet to read up the day’s news (and sports scores, and travel tips!). By 11pm, I usually drift off to sleep…unless, of course, it’s the weekend. Another long day awaits me tomorrow. This might seem a fair lot of hard work…but that’s the thing about the work-culture at Teks. We take pride in making good apps, and we really love the concept of app development in general (and you know that quote about how if you love the thing you do, you won’t have to WORK for a single day in your life). A typical working day at Teks just breezes through – with lots of hard, smart, productive work, the occasional ripples of laughter, and a few meetings. Making mobile apps is a glam job, but it’s also interesting, and fun, and has loads of learning opportunities. It’s a good life! With that, let’s wrap up this week’s edition of AppBoard Tuesday (ABT). Do write in if you want to share your experience as an app developer…and let’s see whether your schedule matches with that of our iPhone developers. We will be back next week with another engaging app-related topic. Till that time…love thy apps! 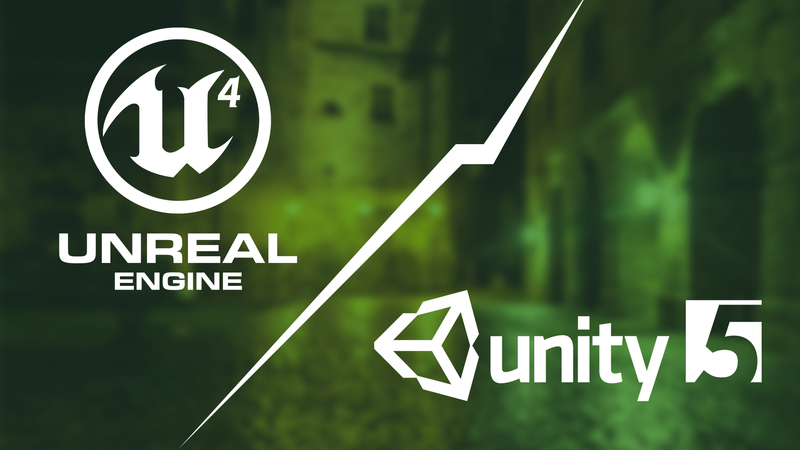 Platform compatibility – Epic Games’ Unreal Engine 4 is hardly a match for Unity 5 when it comes to platform support. While both the tools are used for Windows, Mac OS, Android and iOS game development – Unity can be used to code for games on a much larger set of other platforms than what is possible with UE 4. Wii U and Playstation Vita are two significant platforms that are not compatible with Unreal Engine, along with Samsung SMART TV (Unity supports all of these). The only platform where UE 4 is supported and Unity 5 is not is HTML5 – but that’s a small factor. Note: Both the tools can be used to make PS4 and Xbox One games. Community Support and learning opportunities – Another one that is too close to call. The greater frequency of Unity training sessions and live seminars probably gives this tool a slight edge, although many experts from the field of iPhone and Android game development feel that the overall documentation for UE4 is qualitatively better. As far as online tutorials, forums and discussion sessions are concerned, both tools have equally solid resources (in spite of Unity being a much ‘older’ engine). Irrespective of which tool is being used, it is easy to seek (and find) help on the web. 2D vs 3D games – Unity 5 is, comparatively speaking, the ‘lower-level game tool’, and it is extensively used for making relatively simple 2D mobile games. Indie game developers, in particular, prefer using Unity over UE4 – simply because the latter’s cutting-edge graphics are not required in most of the games they make. Unity’s 3D development tool is also multi-featured – but Unreal Engine 4 is on an altogether higher level over here. Let’s just say Unity is the go-to- tool for making 2D games, while for more intricate 3D mobile game development – UE4 offers far better solutions. Scalability is not the strongest suite for Unity, and that holds it back somewhat. The price factor – Till February 2015, developers working with Unreal Engine had to fork out a monthly fee of $19. With the arrival of UE 4, there is now a completely free version of the tool. Unity 5 has a free version as well. However, there is a catch to using the free versions of either of the game development engines. A 5% royalty charge is applicable on UE developers/companies whose games make over $12000 annually (or, $3000 per quarter) – in order to access all the resources of the tool. The free version of Unity 5, on the other hand, lacks several important elements (Asset Bundle creation, for instance). Full-time game developers almost invariably have to purchase Unity Pro, at a monthly subscription fee of $75. In addition, iOS and Android app developers have to pay the stipulated license fees for using the Unity tool. Graphics features – UE4 practically blows Unity 5 off the park (even with the improvements in the latter), when it comes to the sheer ‘beauty’ of mobile games. All the custom graphics that can be created with Unreal Engine – right from particles and lighting/shadows, to process effects and terrain – seem just that bit better, more interactive and life-like. To give credit where it’s due, the new PhysX 3.3 feature in Unity 5 has given the lighting options in the tool a definite boost. Both the tools can be used to develop triple-A (AAA) rated games – but if you wish to make really pretty games, you should go with UE4. Note: John Riccitiello referred to Unity 5 at the GDC 2015 event as a ‘graphics powerhouse’. The tool, however, still has quite a bit of catching up to do with Unreal Engine 4 on this count. Resources in Asset Stores – The initial release of Unity happened way back in 2005, while first iteration of Unreal Engine arrived only in 2011. Not surprisingly, the Unity Asset Store is larger for mobile game developers, than its counterpart for Unreal Engine. While a varied range of custom props, particle effects and characters are available at both the asset stores, Unity offers a lot more additional stuff, like software for motion capture and tools for intuitive animation (at GUI level). The Unity assets are also, on average, slightly cheaper than the UE assets. While there is hardly any qualitative difference between the Asset Stores of either game engine, it is the sheer size of the Unity Store (15000+ assets) that puts it at an advantage. Proprietary vs Open Source – Unreal Engine 4 is an open-source video and mobile game development tool – and that helps it earn extra brownie points (Unity 5 is a proprietary tool). As is the case with any open-source software, those who make games can directly contribute to the overall resources and knowledge base for the Unreal Engine tool. The process of debugging and app testing is also simpler on UE4. Using a proprietary tool like Unity often requires a larger investment, and the risks associated with it. Additional Services – Another factor that swings things back in Unity’s favour. Much has been talked about the innovation-focused development fund (worth $5 million) that Epic Games has launched – but the services of Unity Tech are still quite a long way ahead. Those creating Unity games can easily avail of services like Premium Support, Multiplayer and Performance Reporting – along with several other useful functionalities. Like the UE Asset Store, its add-on services also have plenty of scope for improvement. User experience – Unreal Engine 4 churns out the ‘more beautiful games’ – but the actual process of development is quicker and easier on the Unity tool. In comparison with the Unity Editor, the UE editor seems slightly complicated and slower. Game developers often report that importing assets on UE 4 requires more time than what is needed on Unity 5. There are, in many cases, additional steps to be performed (for the same task) on the editor of Unreal Engine. The end-product might be more good-looking with UE4, but developers have to put in harder yards to get there. System requirements – Yet another factor behind the widespread preference of Unity3D among small-scale, indie mobile game developers. The engine works absolutely fine on relatively lightweight, older systems (yes, even Windows XP works fine with it). At the other end, there is Unreal Engine which, for optimal performance, requires an updated, 64-bit Windows 7 system. Recent tests have revealed that UE4 drops to as low as 5 fps on older machines – machines on which Unity 5 works without any glitches. For mobile games – Let us turn our attention exclusively on mobile games for the moment. While Unreal Engine, with its latest iteration has made rapid inroads in 2D game-making and has gained some traction among mobile developers – the fact remains that Unity is still the dominant tool on the mobile platform. The tool has a fantastic range of plugins for a variety of tasks, from app analytics and in-game advertising, to game center support and in-app purchases. UE4 has its own share of mobile-optimal features, but they cannot hold a candle in front of those available with Unity. Till recently, a major disadvantage of the Unity game engine used to be the absence of a Profiler in its free version (free Profiler was added in January 2016). As is pretty much clear from the above Unreal Engine 4 vs Unity 5 comparison, both the two tools have their own share of advantages and slight drawbacks. For games that are visually superior, UE4 is undoubtedly better – but Unity 5 (thanks to its plugins) is more tuned for making mobile games. The tussle between Unity and Epic Games has helped in making game development easier and more customizable for developers, and lowered the overall barriers to entry in this field. While it is difficult to call a clear winner between the two – both Unity 5 and UE4 have done a great deal towards lifting the standards of game development in general. Apple Pay Adoption – Is The Novelty Factor Wearing Off? Gradually declining percentage of Apple Pay users – This one should probably get the alarm bells ringing at the Cupertino company. While the initial hype about Apple Pay worked like a charm and there was a huge number of early adopters worldwide – this figure is showing signs of tapering off. During 2015 Q2, the usage of Apple Pay fell by more than 16 percentage points (from 39.3% to 26%) for any particular transaction. In general too, the total number of users of the service slacked off from 15% to 13%. Contrary to predictions, as iPhone 6 sales have risen, the percentage of Apple Pay users has drooped. iPhone 6 is not driving up Apple Pay adoption – There had been many reports from software and iOS app development forums about how iPhone 6 will be instrumental in bolstering the adoption rates of Apple Pay. Things have, unfortunately, not panned out that way – with a measly 3% of respondents in a survey citing the contactless payment service as the reason they bought the iPhone 6 in the first place. The larger screen size and the superior camera capabilities remain the top 2 reasons for purchasing the flagship model (26% and 21% respectively), while the availability of new iPhone apps is also a big motivating factor. Apple Pay does not even come close. The uncertainty factor – The number of retailers accepting payments via Apple Pay has been increasing at a fairly rapid clip in the United states, but uncertainties still linger. Nearly 1 out of every 3 people with Apple Pay-enabled iPhones reported that they did not use the service simply because they were ‘not sure whether Apple Pay would work at a store’. Interestingly, another 30% users also stated that they had ‘forgot’ that they could pay through their iPhones via Pay. It is fairly evident from these stats that Apple Pay is yet to become the go-to payment option for people – and neither are they sure about where they can use the service. Flat adoption curve – As many tech experts and mobile app developers had noted, the initial hype about Apple Pay helped it get off to a fast start. The service debuted in October 2014, and by November – almost 9% of compatible device owners had tried it out. The good news for Tim Cook and his team ends there though – since the growth of Apple Pay has been anything but remarkable since then. By March, the adoption figure had crawled to just a shade above 15%, and in October, less than 17% iPhone users tapped on Apple Pay. More worryingly, the count of regular Apple Pay users has dropped from 19% to 15% – a clear indication that many users have tried the service, not found it to be as amazing as promised, and have not bothered using it again. Availability of other options – Google Wallet tanked in a big way, and when Apple Pay was launched, it was, for all practical purposes, the only available mobile digital payment service out there. Not surprisingly, tech-savvy iPhone users warmed up to this new technology – boosting the early adoption of Apple Pay. Things are no longer the same at present though, with Android Pay and Samsung Pay having emerged as viable alternative options. Interestingly, although Apple Pay has more than a year’s headstart over its rivals and about two times the user-base – at least Samsung Pay is growing at a faster rate than Apple Pay. The first-mover’s advantage that Apple Pay enjoyed at the start has all but evaporated. Note: The newer players, however, are not going to catch up with Apple Pay any time soon. The usage of Samsung Pay is at little as 4% on compatible devices, compared to the 6% figure that Apple Pay has. Android Pay is used on a tick over 1% of all compatible handsets. No significant advantage over conventional card payments – According to a senior Mastercard spokesperson, contactless payment systems like Apple Pay are supposed to be almost 60% faster than normal card payments. Once again, this has only remained true in theory – with users in general finding no extra motivation for using Apple Pay instead of their credit cards. Less than 51% respondents in a recent study felt that the digital payment service is ‘much speedier’ than the card payment process, while only 55.6% people opined that Apple Pay was indeed more convenient. The overall ease of use figure is also not quite in favour of Apple Pay – with 47% people favouring it, and 48.6% being indifferent between using the service and credit cards (the rest stated that card payments were easier). Going by these figures, it seems like Apple Pay has not delivered any great additional advantages that would have motivated people to switch from card payments. Many other reasons of not using Apple Pay – We have already talked about the significant number of people who either ‘forget’ to use Apple Pay, or are not certain about whether they can use it at a store. Reports from app development experts have revealed that the reward points available on other contactless payment services had lured away 11% of users, 3% people thought that the service might malfunction, and 5% of the user-base felt that Apple Pay was not fast enough. What’s more – on average, 1 out of every 10 people could not use Apple Pay simply because they were not carrying their iPhones with them! Note: There are, at present, way too many reasons for not using Apple Pay. The Cupertino tech giant has a tough job on its hand, to make the service universally accepted. Good growth as in-app purchase payment medium – Not all is doom and gloom as far as the adoption rates of Apple Pay are concerned though. For one, representatives from leading iPhone app companies have reported that it is more than an handy tool for supporting in-app purchases (IAP) in freemium applications. Well over 130 apps were supported by Apple Pay at the start of 2016, and the number is growing every month. The number of tie-ups with banks is increasing steadily too (515 in September 2015; 930+ in January 2016) – another sign that usage figures can pick up over the long-term. Faltering frequency of Apple Pay usage – One thing is fairly certain – Apple Pay has not scored big on the user-experience front. During March last year, 48% of all eligible users used Apple Pay whenever possible. By the time October rolled in, the figure had dwindled to 35%. During the corresponding time-span, there has been a 5% increase in the number of people who use the service ‘rarely’ (22% vs 17%). Security concerns over the use of Apple Pay is an important factor as well, with nearly 20% of users not using the service precisely for such reasons. Interestingly, 6.3% people reported that they were facing problems while trying to register on Apple Pay. For most users, the Apple Pay roadmap has been a bumpy ride so far. Great for experimenting; not so much as a regular payments service – That’s what the stats about the use of Apple Pay suggest. 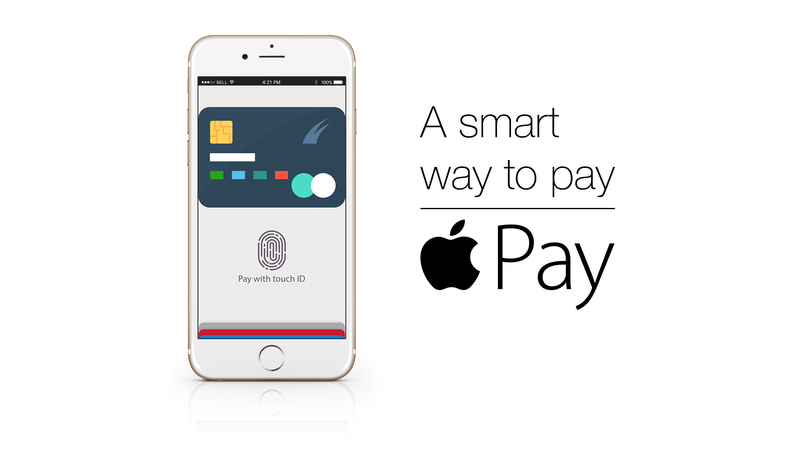 A PYMNTS study in March 2016 reported that 23% of users are giving Apple Pay at least a try. This is a sign that lack of interest is not a problem the Cupertino company should lose its sleep over. The cracks lie elsewhere – namely, the lack of a committed user-base. There are plenty of first-time users of Apple Pay, but not many of them are game for repeat usage (between March 2015 and March 2016, the repeat user percentage dropped from 41% to 24%). Apple Pay is not getting everyone hooked – Adding to the woes of poor repeat users of Apple Pay is the fact that, a vast majority of iPhone 6/6S users do not even bother to use it. There is more than a million point-of-sale (POS) terminals in the US which support Apple Pay – but nearly 84% owners of compatible iPhone-owners avoid using the service. In other words, the probability of the Apple Pay service is less than 1 out of every 20 transactions. Not impressive. It takes time for new habits to replace the old ones – And that, according to software analyzers and those who make apps, is one of the main reasons why the adoption of Apple Pay has been patchy at best thus far. People have been making payments with cards for 40-odd years, and it would be unreasonable to expect that the new one-and-a-half-year old NFC-supported digital payment technology would replace it overnight. Adapting to something new takes time (even more so in this case, considering the serious nature of the service), and everything depends on how quickly (or if at all) people indeed change their established habits while making payments. Tim Cook’s ambitious statements have brought Apple Pay under the scanner – and to be frank, it has not really become a favourite of customers in the United States, after a promising start. However, there are positives to look forward to in 2016 – first with the launch of Apple Pay in China in February, and the several new features – like browser integration and peer-to-peer payment support. Things have not been uniformly rosy for Apple Pay in 2015, but a strong turnaround in 2016 is definitely on the cards. Apple Watch to remain the revenue leader – In 2015, worldwide Apple Watch shipments brought in a whopping $5.5 billion – comfortably more than the revenue from the sale of any other wearable device. The smartwatch is already on a level-playing field with major Swiss watch companies, and Tractica has projected that Watch would become the biggest wristwatch brand by mid-2017. With Apple Watch 2 likely to launch sometime later this year (an announcement at the WWDC 2016 cannot be ruled out), interest in the smartwatch will remain buoyant. 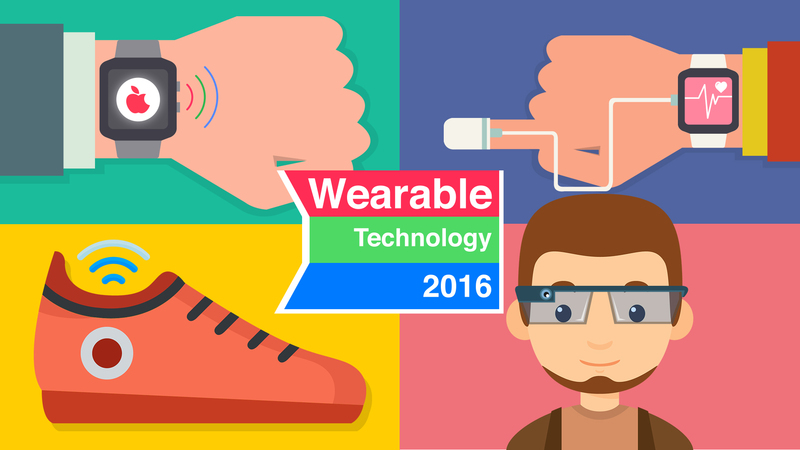 From awareness to consolidation to growth – That’s the journey of wearable technology over the last 3 years. Leading software and mobile app developers agree that it can now be safely concluded that the use of wearables is certainly not a fad. Fitness trackers, along with several other new wearable devices, hit the markets in 2014 (with a lot of hype, one might add), they got commercialized and gained traction among users in 2015 – and this year, the focus is gradually shifting from single-function wearables, to gadgets that can perform multiple things. Not surprisingly, the count of new applications for wearables is spiralling rapidly. Fitbit will stay as the top activity tracker, but there will be competition – A spike of 13% in adoption (between February and October last year) pretty much establishes Fitbit’s position as the most popular activity tracker out there. However, it will not have all its way over the next few years – with brands like Garmin and Xiaomi spicing up the competition. The latter, in fact, has a significant cost advantage – with the Mi Band being four times cheaper than the Fitbit Zip ($15 vs $60). The challenge for Xiaomi is reaching out beyond the Chinese markets (where it has a 97% market share). Garmin, on the other hand is the preferred activity tracker among US athletes – with 7 out of 10 athletes using it (according to a recent survey). If its positioning becomes wider, it can also emerge as a threat to Fitbit’s numero uno activity tracker position. More progress to be made on the smart clothing front – For a couple of years now, reports have been floating around in gadget analysis and mobile app development channels – about how various companies have already started working on ‘smart clothing’. Google, Samsung and Under Armour are some of the big names that have indeed started to foray in this domain, and although any major release is unlikely in 2016 – we should hear more about these over the next few months. With all due respect to smartwatches, the wrist is not always the best place for sensors for activity tracking – and ‘smart clothes’ will bridge that gap. Note: Under Armour has already launched smart running shoes. The overall shipments of smart clothing is expected to reach 25 million by 2021. 5. Wearables are only just getting started – In spite of all the reports about burgeoning sales of smart wearables, those who make mobile apps and software maintain that wearable technology is still at a nascent stage even now. The potential for growth is huge – and over the next 5 years or so, we will see wearables to really spread its wings. The estimated CAGR (compounded annual growth rate) for the global wearable technology industry is a shade under 38%. At that rate, the total shipments will jump by almost 658% (560 million vs 85 million) and revenues will grow by a stunning 775% ($95.3 billion vs $12.3 billion) by 2021, over the 2015 figures. If you think that wearable technology is big already, wait and watch how it gets BIGGER in the next few years! 6. Smart Glasses will come back in a big way – Google Glass, for all its rich features, did not work. There is no confirmed report about when its second iteration will be launched. However, that does not mean smart glasses will not make a mark in the wearables market in 2016. Market analyzers and app-makers fully expect the Microsoft augmented reality (AR) glasses to make a splash, with monocular glasses in general, finding wide acceptance among end-users. The smart glasses developed by Epson should find takers as well. From logistics and manufacturing, to transportation and oil, gas & other utilities – there will be enterprise use of smart glasses on a large-scale. 7. The sleep factor – There are several wearable gadgets in the market already, that track the sleeping patterns of users in one way or the other. There is, however, a general consensus that the information they provide (duration of sleep, deep vs light sleep, etc) is pretty much like scratching the surface. In the next few quarters, ‘smarter’ sleep trackers – like the Nuyu Sleep System, which can change the body temperature of the wearer while (s)he sleeps – will arrive. Some of the key new functionalities that these trackers will offer include monitoring REM sleep and matching it with the heartbeat rate. The reports will be more comprehensive and insightful. 8. Android Wear will grow, but… – The problem of fragmentation (that bane of Android) will keep it pegged back. LG and Samsung are both doing well with their smartwatches, and they are directly competing with the Android Wear that Google is coming out with. This is working right into the hands of Apple Watch – which is retaining its market leadership position easily (as already highlighted above). The fact that it is set to become less reliant on paired iPhones, along with the promise of native Watch apps from June 1 at the store, will drive its popularity further. 9. Rise of the Holograph Headsets – HoloLens, MagicLeap and other such smart headsets are likely to lead the way for mixed reality headsets as viable computing tools for enterprises. The headsets will allow users to interact with the external world in a totally unique and innovative manner – and these will be at the opposite spectrum of most other wearables, which focus on knowing more about one’s own body (the Internet of Bodies (IoB), maybe?). Android and iPhone app developers also predict increased use of virtual reality (VR) in the domains of mobile entertainment and gaming. 10. Wearable technology for the elderly (with greater focus on healthcare) – The world is growing older. By the time 2048 rolls in, the senior citizen population (60+ years) will reach almost 2 million. With technology being increasingly implemented in the healthcare industry, it will be only natural that common ailments like diabetes and cardiac problems will be monitorable by the next set of cutting-edge wearables. App developers across the globe are working with advanced artificial intelligence (AI) algos and miniaturized hardware (not to mention a host of sensors), to integrate health monitoring features in wearable technology in the best possible manner. 11. Wearables to focus more on specific tasks – To put it in another way, ‘niche wearables’ will witness an upward trend in this year and beyond. The smartwatches will double up as a central hub for other wearable accessories, receiving data and generating reports for the users to view. Both Apple and Google are working on such single-purpose wearables – and gadgets like the $129 Netatmo June bracelet are already growing popular. The last couple of years had been mostly about app developers experimenting with as many sensors as possible in wearables – and things are likely to grow tighter in future. 12. More threats of security breaches – As technology in any sub-domain grows, risks of hack attacks increase as well – and wearable technology will not be an exception to this. The Bluetooth LE tool used in many wearables is, according to testers and mobile app developers, not the most secure – and there will be openings for spear-phishers to use the GPS data to send fraudulent, malware-infected emails to users. Intel Security Group has already predicted that several popular smart wearable gadgets will be ‘compromised’ within the next 2 years or so. In general too, as we move towards the realm of Internet of Things, security issues are becoming more of a concern. For enterprises, the focus will be on managing access levels in wearables with the help of improved network policies. Bonus Trend: Over 26 million people will own smartwatches by the end of 2016. However, hardware experts and app developers feel that they will not become substitutes of smartphones anytime soon. For most users, smartwatches are still all about the fun and novelty factors, and in the foreseeable future, they will remain accessories of smartphones, nothing more. Total integration and implementation of smart tools with the human body is the ultimate goal, and wearable technology – as we know it now – is paving the way for that. Wearables are on a fast track of growth, and they will pick up even more pace in the next 3-4 years. L. Spencer: I feel that the future will be all about mobile devices. I was on a holiday in the US 3 years ago…and over there, we saw people using their mobile phones for practically everything. That’s when I thought there is a need for an app to store documents…something that would keep the documents at the fingertips of users. Me: So, what was the actual mobile app development process for Lifestyle Travel like? L. Spencer: Oh, it was a fantastic process. You and your Teks team were easy to work with…you guys understood what’s required for the app. We could work through issues easily. 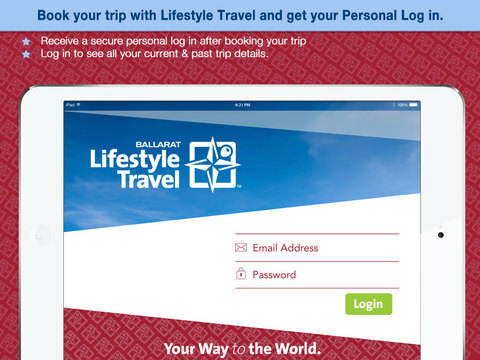 Me: How about the end-user experience that the Lifestyle Travel app provides? L. Spencer: I really hope people love the app…even the older people…those who are not really tech-savvy. I have seen that old people use iPads…say, to keep in touch with their grandchildren. That way, they are learning something new, a cutting-edge technology. The business from the app has been helped by what people have told to other people about it. Me: Tell me Leonie, do you have any plan to make a product out of the app? L. Spencer: Lifestyle Travel (My Trip) is an app developed professionally…for professionals. We can offer the app to travel agencies and other business owners. The product will not be for the general public…but it can help as an agent. We have done all the hard work…and now we can provide the app to travel agents who know all the traps. They will also get the clients list they can’t otherwise get. Me: How is this business, this technology, help you going forward? Where will this app development take you? L. Spencer: Oh, that’s a hard question! I suppose it is the same for all my projects – to give the best possible client-experience…the easiest, most cost-effective way to store documents. There is messaging, to get in touch whenever there is an issue. Say, people are traveling and they can send a message for us to upload tickets electronically. In future, paper will kind of disappear…as things become more efficient and user-friendly. You are the tech person…I guess you will be the one taking the app to the future! Me: What were the things you were fearful about while the app was being made? L. Spencer: Oh…I guess I was a li’l apprehensive about whether the investment would be worth it initially. I had to take a leap of faith…while thinking if the app would actually be useful to people. My sons, in their 20s, handle gadgets – and they liked it…but I was a bit scared that the app might not turn out as I had thought it should. You and your team of mobile app developers helped with your quick responses to emails, the additional payment option in Australian Dollars, and all those little added things. All of these took away the fear of dealing with someone from another country. Me: When you started working with Teks, did you feel there is a difference between us and mobile app companies in Australia? L. Spencer: There was this slight apprehension of not being able to go and physically check out your Indian office. But then, you gave all the answers, explained things, provided references of people…and this took away that fear. Also, there was the money back guarantee you provided…and I did not have to pay anything straight upfront. There was this feeling of mutual trust…and that made things easier. Me: Before we finish, are there any suggestions…or would you recommend Teks to other people? L. Spencer: Definitely, I would like to refer your mobile app agency to other people. There’s not much as suggestions…but I feel some more representation in Australia will be beneficial. There are often language problems or cultural differences…something that is not there with Teks. I can explain things in lay terms…and you guys can understand it easy. You have done a fab job…and there’s not a lot. There is a little way to go…and we are getting there. And that rounded up the chitchat session between yours truly and Leonie. My team is more than glad to have been able to help her…and create the Lifestyle Travel (My Trip) app in just the way she wanted. This iPhone travel app is an absolute winner…and the vision and clarity of thought of Leonie has a lot to do with its succes. This brings us to the end of another edition of AppBoard Tuesday. We hope you liked this video transcript – a change up from our weekly routine of discussions on app-related topics. ABT will be back next week (but of course! )…and till then, love thy apps!